Islas de Gigantes (variously Islas Gigantes, Higantes group, or Gigantes group) is an island chain within the larger Western Visayas archipelago in the Visayan Sea. It is part of the municipality of Carles, Iloilo, Philippines, and the northernmost part of Iloilo province. The Gigantes Islands consist of about ten islands; the two largest are Gigantes Norte (North Gigantes) and Gigantes Sur (South Gigantes). According to the 2010 census, it has a population of 12,224. There is also a lighthouse on Gigantes Norte. The Gigantes islands are located roughly 18 kilometres (11 mi) from Panay Island in the Visayan Sea. Gigantes Norte is 213 metres (699 ft) at its highest point, while Gigantes Sur is 232 metres (761 ft) at its highest point. A narrow 800-metre-wide (0.5 mi) channel separates the two islands. Nearby islands include Balbagon Island, which is 6 kilometres (3.7 mi) west of Gigantes Sur and is part of barangay Lantangan. In addition to the two main islands, the Gigantes group includes the following minor islets: Bulubadiang, Gigantillo, and Gigantuna are islets southeast of Gigantes Norte, while Antonia, Bantigui, Cabugao, Tanguingui, and Turnina are islands and islets south of Gigantes Sur. The Gigantes group consists of the following four barangays. On Gigantes Norte is Asluman and Granada and on Gigantes Sur is Lantangan and Gabi. The Gigantes group used to be called Sabuluag, or Salauag, which is the name of a species of tree endemic to the islands. During the Spanish colonial era, the name was changed to Gigantes. Local legend describes coffins found inside Bakwitan Cave that contained gigantic sets of human bones, which constituted the name change. For this reason, locals also believe the island is inhabited by enkantos. A lighthouse was built on Gigantes Norte some time before 1895. Designated ARLHS PHI-094, the white 38-foot-high (12 m) tower features a keeper's house and a focal point 77 feet (23 m) in the air, which flashes once every ten seconds. Lantangan Elementary School in Gigantes Sur has a student population of 1,144, which is higher than the populations of mainland schools. 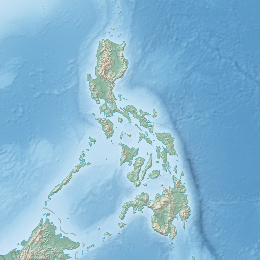 Typhoon Fengshen, known in the Philippines as Frank, struck the Gigantes group in June 2008. Fengshen destroyed the original lighthouse on Gigantes Norte, which was one of the original 27 lighthouses built by the Spanish in the Philippines. Japan donated a replacement tower, which is made of iron and solar powered. The brick keeper's house is all that remains of the original structure. Typhoon Haiyan, known in the Philippines as "Yolanda", passed over the Gigantes group, along with the rest of Panay, on November 8, 2013, damaging houses and boats. Unofficial reports stated more than 90 percent of the houses on Gigantes were destroyed. The typhoon also tore the roof off of Lantangan Elementary School in Gigantes Sur. As of June 2014, the roof of the school had not yet been repaired. Many groups conducted relief missions to the Gigantes group, including the Bureau of Fisheries and Aquatic Resources in Region 6 (BFAR-6), the Department of Social Welfare and Development (DSWD-6), RockEd Philippines-RockEd Iloilo, the ABS-CBN Foundation, Loma Linda University Health (LLUH), and the Adventist Development and Relief Agency (ADRA). In June 2014, Save the Children donated more than a thousand bags of school supplies to students on the island. Aside from food and clothing, the fishing community also asked relief organizations to help rebuild their livelihoods. Points of interest in the Gigantes group include the Bantigue sandbar, and Bakwitan Cave, one of 73 caves throughout the islands. Tangke is a saltwater lagoon located within Gigantes Sur. It is surrounded by cliffs. One local myth surrounding Tangke states that the waters would magically rise every year on June 24 during the feast of Saint John the Baptist. The station was established during 1895 as one of the Spanish lighthouse projects to be built across the Philippines. The current medium-sized lighthouse that is solar-powered, like most of the lighthouses built today, was donated by Japan to replace the one built by the Spanish government due to the destruction brought by Typhoon Frank in 2008. The keeper's house survived but in ruins. The masonry walls were painted white while the roof is made out of corrugated galvanized iron sheet in red paint finish. A small island featuring a white sand beach and an observation deck. The private beach which belongs to a resort (Antonia Resort) on the south eastern tip of Gigantes Sur, known for its 1 peso scallops. Boats can be chartered from Bancal Port in Carles. Public ferries leave daily from Bancal Port to either Gigantes Norte or Gigantes Sur. Private boats can also be chartered to reach the islands. It takes approximately an hour from Bancal to isla de Gigantes. ^ "2010 Census of Population and Housing" (PDF). Philippine Statistics Authority. 2010. p. 61. Archived from the original (PDF) on 15 November 2012. Retrieved 7 June 2014. ^ a b "Sailing Directions (Enroute) Philippine Islands" (PDF). National Geospatial-Intelligence Agency. 2008. p. 94. Retrieved 19 June 2014. ^ "Lighthouses of the Central Philippines". Retrieved 19 June 2014. ^ a b c Alfred John Tayona; Hazel P. Villa. "Yolanda-ravaged school in north Iloilo still roofless". Yahoo News. Retrieved 2 July 2014. ^ "Spanish Lighthouses of the Philippines". Retrieved 1 July 2014. ^ "Typhoon ‘Yolanda’ destroys several towns in Iloilo"
^ "Lighthouses of the Philippines: Western Visayas". The University of North Carolina at Chapel Hill. Retrieved October 26, 2014. ^ "The Internet Famous Cabugao". The Unofficial Guide: Philippines. Retrieved June 26, 2017. ^ "Island Hopping in Gigantes Sur". The Unofficial Guide: Philippines. Retrieved June 12, 2017.